Bakit Hindi Ka Crush Ng Crush Mo? Bakit nga bah? Why oh why? This is our story, so let’s talk! 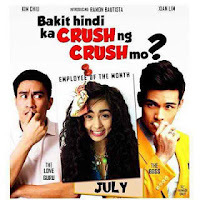 Star Cinema presents “Bakit Hindi Ka Crush Ng Crush Mo?” directed by the unfading director of all time, Bb. Joyce Bernal. Catch the very first big screen team up of Kim Chiu and Xian Lim this coming July 31, 2013 as Star Cinema celebrates its 20th Anniversary in making people happy. This movie is basically a Filipino romantic-comedy 2013 based on and adapted from Ramon Bautista's novel of the same title. This film is a story of a smart yet ugly duckling girl named Sandy who works on a big company, and eventually will turn into someone who's worth loving. Ugly and curly Kim Chiu is a playful and loud girl. She has a boyfriend who eventually broke her heart because she’s not that attractive. She was too paranoid after their break up and Sandy suddenly mistaken Xian as her boyfriend and punched him. After the sad happening, her new boss Xian Lim will help her turn herself into someone who’s very lovable. The messy little chicca will rise and live like a normal lady. Xian offered her things which are in favor to her and also for the benefit of their company. The company needed sandy since she was the only responsible employee who used to accompany their former boss. 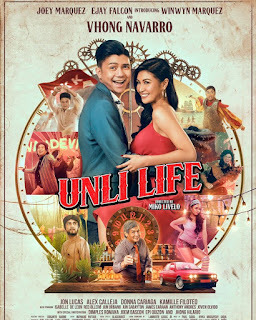 Other casts includes Kean Cipriano, Mylene Dizon, Freddie Webb, EJ Jallorina, Ramon Bautista, Cholo Barretto, Jojit Lorenzo, Marnie Lapus, Cheska Inigo, Cecil Paz, Diane Medina, Sarah Gaugler with special participation of Tonton Gutierrez, Angeline Quinto and Pokwang. Watch Bakit Hindi Ka Crush Ng Crush Mo? on cinemas nationwide. See you all there.